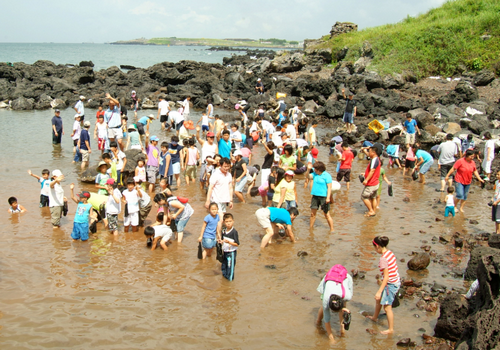 Located in the area of Doduhang Port, Jeju Dodu Oraemul Festival is the sole festival in the area, the theme of which is one of Jeju’s regional resources, “yongcheonsu" (spring water), also known as “dodu oraemul." 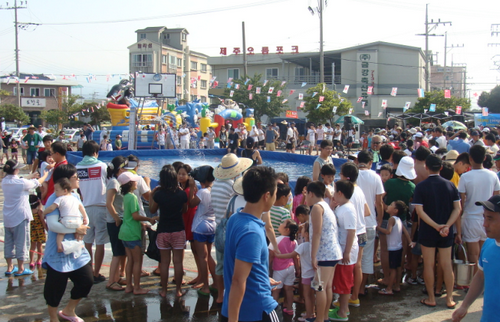 The festival provides unique hands-on programs available only in Dodu-dong, as well as delicious food to enjoy and other entertaining activities for tourists and residents. -Get off at Dori Elementary School Bus Stop (13 bus stops away, taking about 25 minutes). -Walk back and take your first left. Follow the road for a few hundred meters, then veer right when it forks. 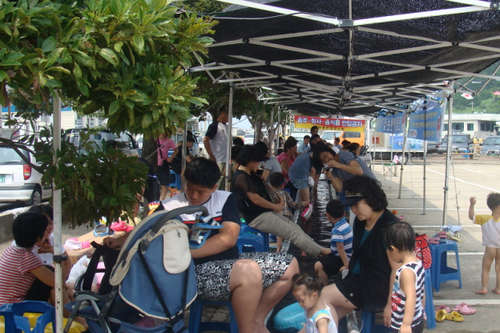 You will be at the Doduhang Port area after three more short blocks. -Take a taxi from the bus stop to the port takes about 5 minutes. *Call the Korea Travel Hotline for assistance with directions.